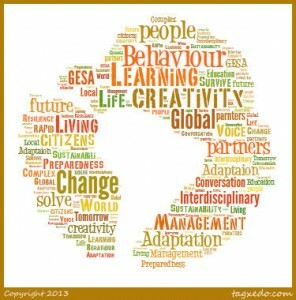 In this article Dr. Hamish Ross discusses the value of interdisciplinary conversations in policy and research, in organisations like GESA, and in his own discipline of Environmental Education. He argues that at a time of rapid and complex planetary change, that education is vital to change management and in this sense, Learning for Sustainability becomes more a practice of Learning as Sustainability. I have stolen the title of this blog from an excellent book I like to recommend – Arjen Wals’ and Peter Blaze Corcoran’s (2012) Learning for Sustainability in Times of Accelerating Change, Wageningen Academic Publishers. I was wondering why interdisciplinarity mattered, since it is in part what the Global Environment and Society Academy (GESA) represents. And I was wondering what was its utility to my own field, which is environmental education. Usually it is asserted that the real world does not arrange itself into disciplines and so neither should our educational institutions be so arranged. But for educational purposes the world has to be packaged in some arbitrary way, so the point seems important but not entirely decisive. However, working across disciplines is surely creative, and creativity might be necessary for planetary survival. The academic discussion about learning for sustainability includes a significant co-evolutionary model of learning and socio-environmental change, which reads as follows. We are unable to predict, or even process, what is happening or will happen in rapidly-emergent, complex, uncertain, risky and global systems. What we can do, given some appropriate moral purpose, is make experimental interventions, or not, in our social and geophysical world, remain alert to their consequences, re-consider, try again, carry on. Change happens and learning is central to the management of change. The model has sometimes been referred to as ‘learning as sustainability’. The more crisis-laden the prospect of (un)sustainability, the more intense, and perhaps creative, must be learning as sustainability. I begin some of my classes with an exercise that was shown to me by the excellent Rob Bowden of Rosie Wilson of LifeWorlds Learning. A student will recount her weekend to one of her peers for a minute or so, interrupted repeatedly by her classmate, and each interruption is nothing more than a random and unrelated word or phrase. The recounting student must absorb this word into her narrative and carry on telling it. In due course the pair swap roles. After trying this exercise, most participants agree that it is surprisingly easy to absorb a random word into one’s narrative and surprisingly hard to think up a random word in the first place, let alone in the face of a narrative, let alone use it to interrupt someone who is speaking. Even interdisciplinary conversations, then, might not be as interrupting as we hoped. But the ambition and courage to creatively interrupt must be as important to learning as sustainability as is the ambition to simply better represent the world. 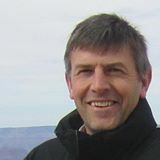 Dr. Hamish Ross is a lecturer in Social Studies and Environmental Education at Moray House School of Education. Hamish’s principal research interests are in the field of citizenship and environmental education. This entry was posted in Citizenship, Environmental Education and tagged change management, consequences, courage, creativity, Environmental policy, experimental interventions, interdisciplinary conversations, learning, moral purpose, planetary change, rapid change, sustainability. Bookmark the permalink. See also Yannick Rumpala, The Search for “Sustainable Development” Pathways As a New Degree of Institutional Reflexivity, Sociological Focus, Volume 46, Issue 4, 2013, pages 314-336.